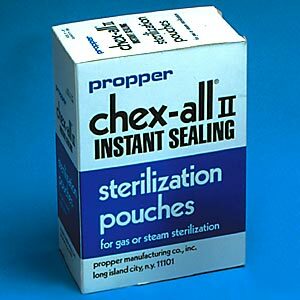 The only instant sealing sterilization pouches with indicators both inside and outside for steam and E.O. gas. See thru pouch, will not open up in steam autoclaves. Packed 250 3"x8" pouches per package.